I will see if we have any photos of theis school and will let you know if we come up with anything. Hi Ray i also tried to find photo's of Cornwell School as i went there in the 60s. No Joy i'm afraid. I visited the archives at Stratford but they had nothing. We have been here before and nothing came to hand regarding photographs. classes we were sent to Cornwell Road. I loved evry minute of it. I have come across this photograph of Cornwell School Manor Park. 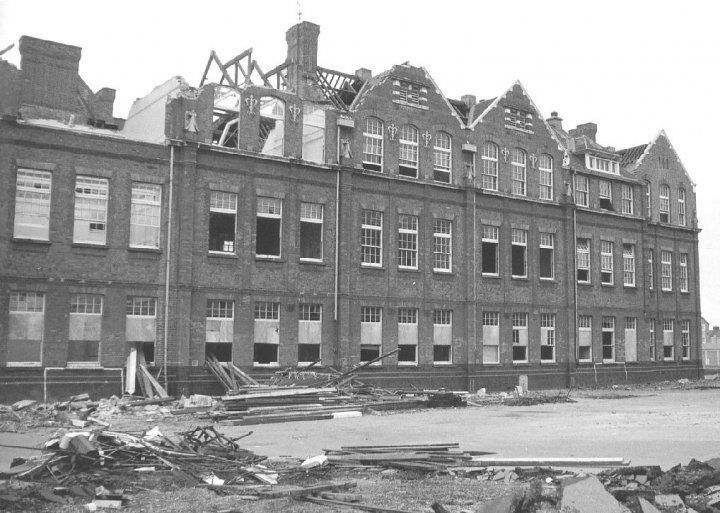 Apparently it was taken just before the school was demolished in the late 60's so unfortunately it looks in a sorry state. I added this as those without Facebook accounts are unlikely to see it.